When your travel agent says WHERE?!! 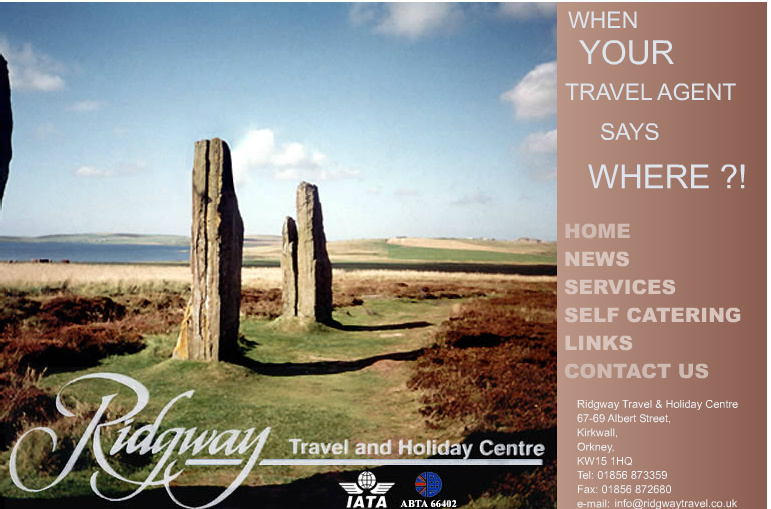 Call Orkney's leading travel agent. Whether it's business or pleasure, Ridgway Travel will take care of your trip to or from Orkney.